I was fortunate to have grown up near and then right in the middle of New York City. 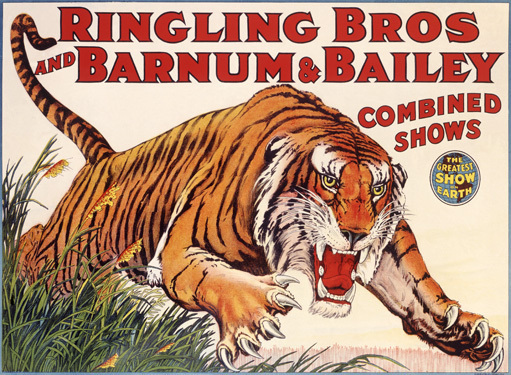 When I was a young child, each spring I would be taken to see the Ringling Bros. and Barnum & Bailey Circus in its annual run at Madison Square Garden, which happened to coincide with my birthday. 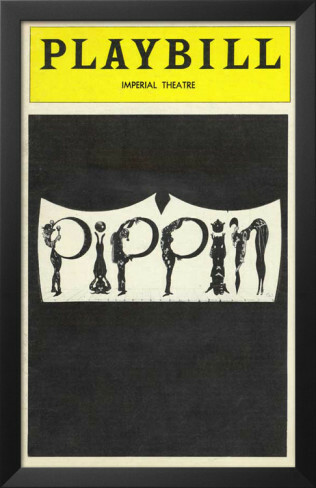 It was fitting, then, that when it was time to see my first Broadway show, for my 12th birthday my parents took me to a circus-influenced musical, Pippin (this was in its original 1970s incarnation, not the current revival). But I was already hooked before I set foot in the Imperial Theatre. Jules Fisher had me at the first light cue. Entertainment is not always a good facilitator of commitment and longevity. Engagement actually IS a form of commitment, and it inspires longevity. 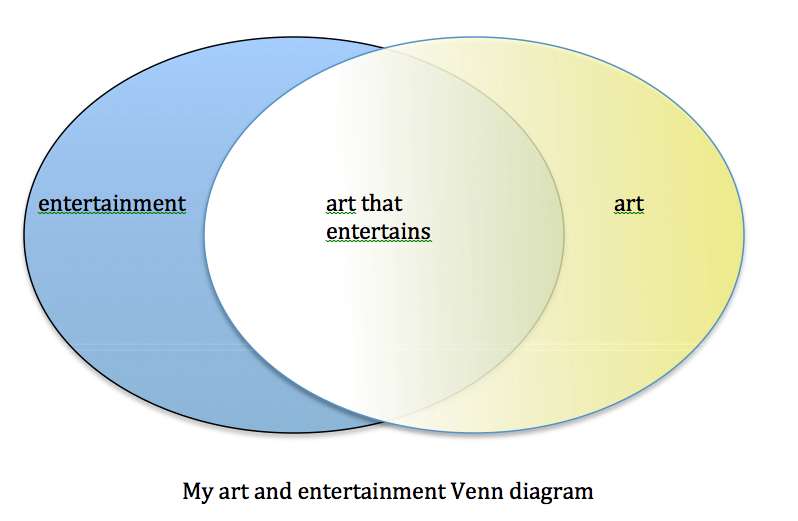 If art is only the means to entertainment then entertainment is the goal, and art is in service to that end and is judged strictly by how well it entertains. It could be achieved by other means and that would satisfy us equally. If, on the other hand, art is something of an end in itself, then being entertained by it is incidental to the value of the art. A nice side effect, perhaps, but not its reason for being. I like Carter’s defining characteristics of longevity and commitment, and the notion that the entertainment value of art is a byproduct of art rather than its reason for being. BUT – and this is a big but – if it weren’t for the entertainment value of the circus and family participation in amateur community theatre, I wouldn’t be writing a blog about art now. I joined the arts circus as a child forty years ago because I was engaged by it. This entry was posted in arts infrastructure, Arts management, Uncategorized and tagged audience engagement, Circus, Cirque, entertainment. Bookmark the permalink. Thank you. All of Creative Infrastructure is licensed for non commercial use with attribution under Creative Commons 4.0. Enjoy! Part of the problem is that the language used in recent years by arts policy makers has been political in nature rather than aesthetic. It began in this country with Richard Florida’s ideas on creativity. Without really defining what creativity or being creative was, the idea that everyone and everything was creative was sold to every desperate arts organization or group who listened. Creativity was soon followed by concepts such as inclusion and diversity and participation and now engagement. With every new concept introduced arts advocacy groups and policy makers believed that the difficulties organizations faced could be overcome if they could just included these new realizations in their business models and ways of thinking about art. But the new realizations hasn’t really changed peoples ideas about art nor has it solved the problems facing the arts today because we still really don’t know what these concepts mean as they relate to the arts. This new language, at it’s heart, isn’t about getting people to better understand what art is or does but rather is about changing how we politically think about art; how it is to be funded and supported by our society. I strongly agree with the quote above from Carter. In and of itself, the circus is entertaining and mostly joyful, unless of course, you are one of the animals in the show, but when all is said and done the memory of the joyful time remains not the experience of art. Thanks Linda! I like your take on this. The personal annecdote brings it home perfectly.